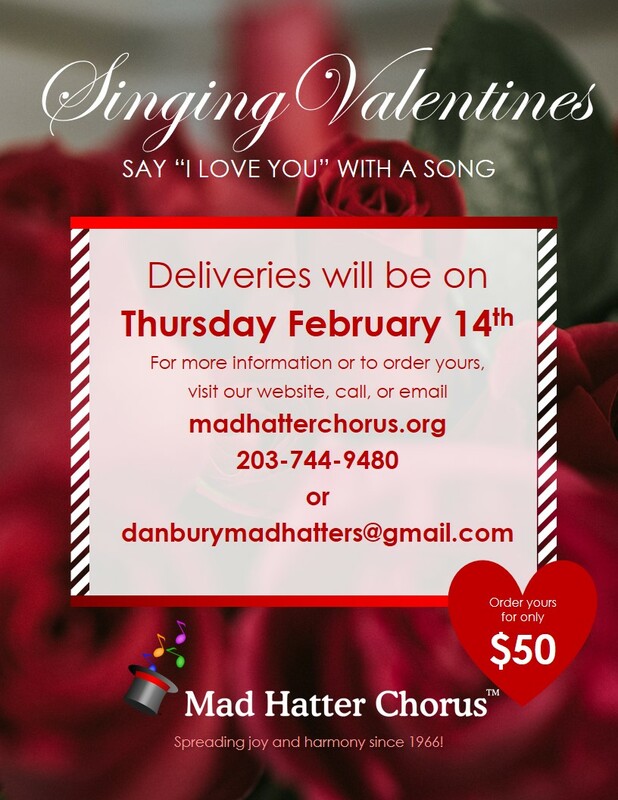 Welcome to the Singing Valentines Order Form. A Singing Valentine includes a card, a rose, and two or more songs delivered to your loved one by four well-dressed men at a home, restaurant, workplace or other location of your choosing. Please enter all information and someone from our chorus will contact you personally within 24 hours to verify information, discuss delivery and make payment arrangements. We will try to accomodate deliveries on other dates if arranged ahead of time. Enter a phone number where we can contact you to set up the delivery and make payment arrangements. Did you hear about us through Facebook or a member? If a member told you about us, let us know which one.